Reconditioned Rainbow, the E Series E2 Blue 2 Speed is the best deep cleaning Rainbow that has ever been made with highly efficient Water Filtration Technology and HEPA filtation the E2 Blue is one of the most powerful bag-less canister vacuums on the market with an amazing 80 CFM of power! The E2 2 speed Blue can use the low speed as an air purifier (very quiet) and the high speed as your vacuum. 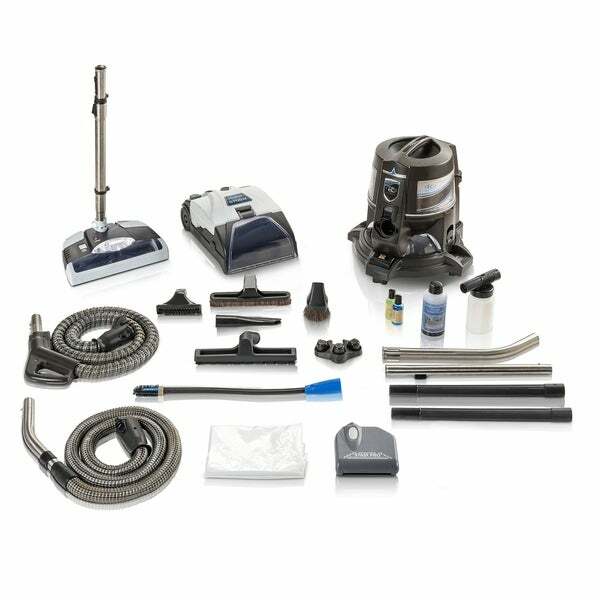 With its 22-Piece new quality aftermarket parts and accessories, made to fit Rainbow Vacuums, essential oil pack. The deep cleaning GV electric power-nozzle kit with on/off button to easily switch between carpet and hard-floor surfaces. This feature reduces the number of times you are switching to different tools each time you vacuum a new surface. This power-nozzle picks up every bit of dirt even in the darkest corners, on any surface. Rainbows are perfect for any home large or small. Any floor type from all carpet types to any hard floor surface. Clean stairs with ease by taking advantage of the Rainbow's extra long hose reach and array of GV attachments from the power nozzle for carpeted stairs to the combination floor tool on hardwood stairs. Use the GV electric power nozzle with No-Slip-Belt to make quick work of your vacuuming needs, quickly transition from carpet to hard-floor surfaces by simply switching between carpet mode and hard-floor mode with the conveniently located handle switch. This Rainbow comes with the Prolux Storm is designed to fit Rainbow E Series 1 and 2 Speed. This design is completely self contained, which means you do not have to hook the shampooer up to your sink like you did with older shampooer designs. The Prolux Storm has incorporated an electronically driven brush roll to this universal shampoo system. This design allows the shampoo system to agitate the surface which improves cleaning ability exponentially. This model works just like your regular power nozzle does, so all you have to do is fill it up, and vacuum like you normally would. Offers much higher power output than other shampooers on the market and offers self adjusting brush roll height so you can easily move between surfaces. The self adjusting design is exceptionally convenient when using on tile because it allow the brush roll to drop into and scrub grouted areas.